Alcohol’s link to domestic violence is in focus – now what? By mapping alcohol’s role in domestic violence, a report published by the Foundation for Alcohol Research and Education today lifts the lid on the plight of numerous Australian adults and children whose lives are negatively affected by a family member with alcohol problems. Much attention has been paid to alcohol-related violence in and around pubs and clubs, and on the streets. Highly visible, this violence often has tragic consequences and attracts deserved condemnation from the public, as well as being legal sanctioned in some jurisdictions. But the significant proportion of alcohol-related assaults taking place daily in family homes goes largely unseen. 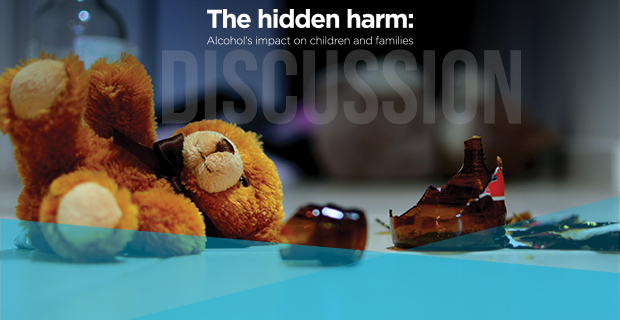 Drawing on two national surveys, service system data and qualitative interviews with families, The hidden harm: Alcohol’s impact on children and families, a report by the Centre for Alcohol Policy Research, details alcohol’s damage in the home. Alcohol is estimated to be involved in up to half of partner violence in Australia and 73% of partner physical assaults. It features prominently in police data, although not all jurisdictions keep consistent records. 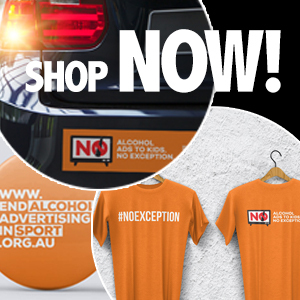 In 2010, alcohol was recorded as “present” in 41% of domestic assaults in New South Wales. This figure increased to over 60% in the remote far west of the state. Victorian data shows a steady rise in the rate of alcohol-related family violence incidents from about 15 to 23 incidents per 10,000 people over a ten-year period. Given incidents reported to police are often the most severe cases, and only one-third of domestic violence is reported anyway, the figures discussed above clearly under-represent the full extent of alcohol-related domestic violence. Much debate about alcohol’s role in domestic violence focuses on the question of whether alcohol actually causes the violence. After all, men who don’t drink alcohol are also perpetrators of such violence and most people who drink are not violent. Domestic violence is complex behaviour with multiple factors and influences. What we know is that the risk of violence increases when alcohol is involved, and that the victim’s injuries are more severe in those instances. Children are affected by witnessing domestic violence and alcohol also increases the risk of children being abused, neglected and emotionally damaged. Alcohol also features strongly in domestic violence murders. According to the Australian Institute of Criminology almost half (44%) of all intimate partner homicides between 2000 and 2006 were alcohol-related, involving consumption by the victim, offender, or both. This rate is even higher for Indigenous Australians. Intimate partner deaths involving an Indigenous offender and victim are 13 times as likely to be related to alcohol. Women are disproportionately the victims of domestic violence and this also holds true for incidents involving alcohol. A 2010 national survey of alcohol consumption and harm in Australia found women are more likely to experience alcohol-related abuse from a spouse or partner, whereas men are more likely to report it from a stranger. Over 21% of women reported being fearful of their partner’s drinking compared with 6.3% of men. And almost 40% of women reported experiencing alcohol-related physical abuse within an intimate relationship compared with 11% of men. Women are more likely to report violent incidents to police where their male partner is drunk, highlighting the seriousness of assaults involving alcohol. Studies across multiple countries show that the risk of violence is higher when the male partner drinks or when both partners drink. Women’s problem drinking alone doesn’t make violence more likely. It’s not the amount of alcohol consumed that’s important but the pattern of drinking; heavy and binge drinking increases the likelihood of violence. Australian research on women’s experience of male violence showed married women whose husbands got drunk a couple of times a month were three times more likely to experience physical violence. High rates of violence are also commonly found among couples where one partner is seeking treatment for alcohol dependence. This pattern also holds among younger people. Youth dating violence perpetration has strong links to higher levels of alcohol consumption. Interventions that target binge drinking in young adults may present opportunities for early intervention to prevent and reduce alcohol-related intimate partner violence in later life. Focusing prevention efforts on alcohol is not a way of excusing or diminishing men’s responsibility for their drinking or violence. Rather, it offers a possible lever for change in an intractable problem. To date, limited attention has been given to efforts for preventing alcohol-related intimate partner violence by reducing harmful drinking. This new report presents a timely reminder of the women and children whose lives are marred by another person’s problem drinking. It should provide the impetus to act on this widespread and insidious problem. This post originally appeared on The Conversation on 24 February 2015.